To celebrate the release of Murder on the Orient Express this week we’ve got 2 fantastic merchandise packs to give away! 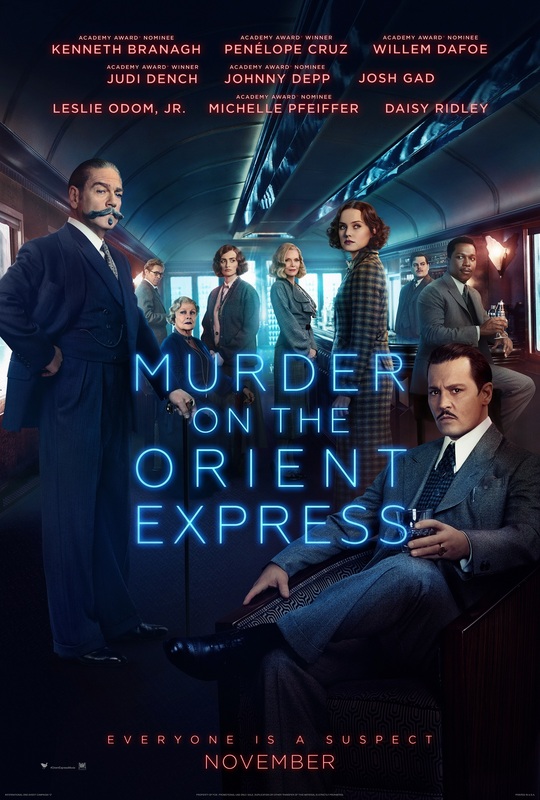 From the novel by best-selling author Agatha Christie, “Murder on the Orient Express” tells the tale of thirteen strangers stranded on a train, where everyone’s a suspect. What starts out as a lavish train ride through Europe quickly unfolds into one of the most stylish, suspenseful and thrilling mysteries ever told. One man must race against time to solve the puzzle before the murderer strikes again. Kenneth Branagh directs and leads an all-star cast including Penélope Cruz, Willem Dafoe, Judi Dench, Johnny Depp, Josh Gad, Derek Jacobi, Leslie Odom, Jr., Michelle Pfeiffer and Daisy Ridley. For your chance to win a keychain, wine charms, passport holder and journal just enter via our competition app below. The competition ends at 23:59 on 14 November 2017. The prize consists of a keychain, wine charms, passport holder and journal.